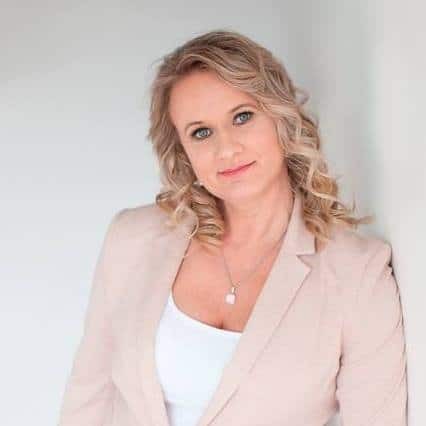 Karin Hagberg is the founder of Aspire Wellbeing – a community based holistic aromatic wellbeing centre with passionate practitioners & body/mind/spirit gift shop located on the Surf Coast, Victoria, Australia. Karin is a Wellness/Lifestyle/Essential Oil, NLP Master Coach & Hypnotherapist, Pilates/Yoga Instructor and Reiki/Crystal Healer and Aroma Freedom Technique Practitioner with over 20 years of experience in the Health, Wellness and Fitness area. Karin published her first book “Body Awakening – Balance your body, mind and spirit with Pilates and an active lifestyle” 2008 and she has also produced 3 Pilates DVDs. Karin facilitates Wellness retreats. She is originally from Sweden where completed a degree in Sports Education with focus on health promotion. She has competed at international level of rowing and competed at the World Rowing Championships 1990 in Tasmania, Australia. Karin lives an active and healthy lifestyle and loves being out on her mountain bike in nature or on the ocean in her Surf Ski. Karin is a mother of two grown up children who are also into healthy active lifestyles. Karin is passionate about helping people reach ultimate wellness! As well as running Aspire Wellbeing and treating people as a Remedial Therapist she is also a passionate Coach and Speaker. Karin works in a unique coaching partnership with her clients – to assist the client become an empowered well-being and create lasting lifestyle changes. You will be assisted to clarify what it is You want in life and Why you want it! Then we create a Vision and goals on how to get there. Karin will hold you accountable for what you want so results are created. Offering ongoing encouragement, Karin’s expertise will guide you on your lifestyle journey. You’ll discover that through a combination of autonomy and accountability, your goals for health and happiness really are attainable…this is how the magic happens.